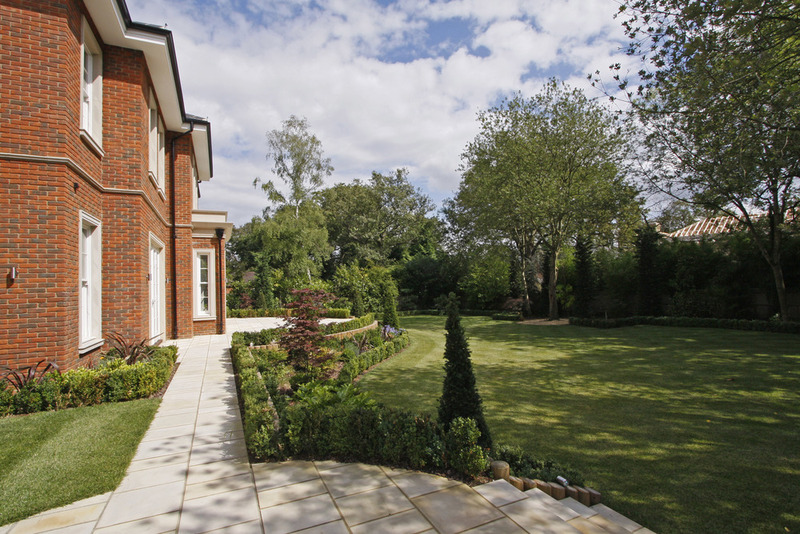 The immediate area offers a wide range of recreational facilities, including boating on the river Thames, polo at Ham, golf at Coombe Hill, Coombe Wood and The Royal Wimbledon courses. The Roehampton Club and David Lloyd leisure centre are nearby as is the All England Lawn Tennis Club. There is racing at Sandown, Kempton, Ascot and Windsor. The pedestrian gate at Robin Hood roundabout gives easy access to The Royal Richmond Park, an area of outstanding beauty, providing a picturesque setting in which to picnic, go horse riding, jogging or just take a leisurely walk. Theatres at Richmond and Wimbledon are also popular alternatives to the West End together with an excellent choice of restaurants. There are numerous schools for all ages, private, state and a variety of international schools. Turn into Coombe Park off Kingston Hill, bear left at the fork and continue on where upon Vineyards is conveniently located on the right hand side. Coombe Park is managed by ‘Coombe Park Residents Association’ which is owned equally by all member residents. Several years ago, the road was resurfaced with new ramps, speed sign posts and 24 hour CCTV cameras. All residents were requested at the outset to contribute £10,200 towards these costs and £200 towards the formation of the company. The Residents Association only manage the maintenance of the roads, which is voluntary run by certain residents of Coombe Park. Coombe Park now benefits from wrought iron gates which are operated at night with an entry phone to each dwelling. Vineyards is approached by a sweeping gravelled driveway behind solid wooden remote controlled operated doors to a large forecourt with a semi-circular floral bed behind the mature yew hedge. The stone pillared entrance porch leads to a very spacious Reception Hall with a central pattern in the limestone floor. The small circular stone within the pattern has an electrical socket to facilitate power for a lamp if one was to put a central table or Christmas tree. Off the Reception Hall is a walk in cloaks cupboard and a beautifully appointed Guest Cloakroom. 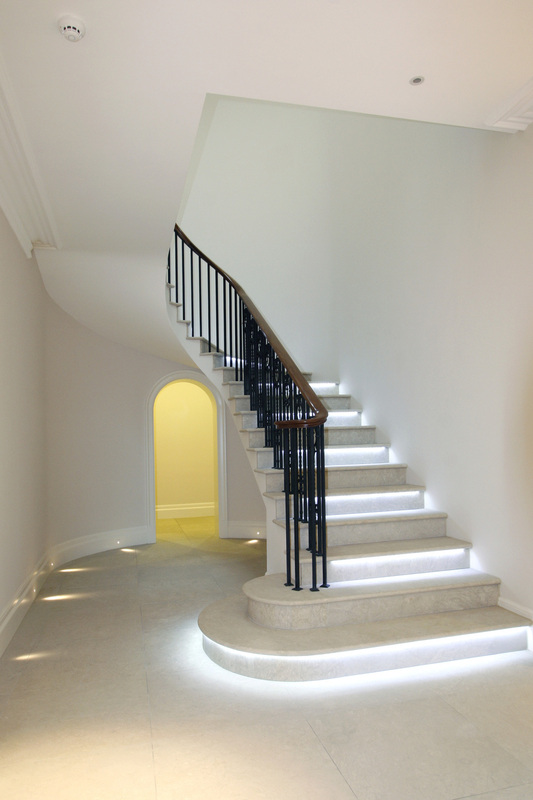 Under the stone clad staircase with LED lights is an arched doorway leading to a room which can be adapted to a wine cellar with the appropriate electrical provisions. Natural light has been a key important feature in the design of this house and the Reception Hall features a dome ceiling with a circular wrought iron balustrade feature. The Formal Drawing Room, Formal Dining Room, Family Room and Study are approached off the Reception Hall and have walnut flooring. The remaining areas to the ground floor are all Limestone floors with under floor heating to both the ground and first floors. The Kitchen has been custom designed by RICK BAKER and is made from American Black Walnut with aluminium inlays with a granite work surface with dark brown leather handles to all drawers and cupboards. The kitchen incorporates MIELE appliances and a Sub Zero stainless steel Fridge/Freezer and two Sub Zero wine chillers. Unusual to other houses is a fully equipped secondary kitchen suitable as a back up for large scale entertaining. This leads to the Utility Room and staff toilet. The integral triple garage with remote controlled operated doors also benefits from under floor heating, making it suitable for many uses such as a winter games area. The First Floor offers sumptuous bedroom accommodation all approached off a glamorous landing with a central domed ceiling over the circular atrium. There are ample store rooms and two large built in linen cupboards with ample shelving and illumination. 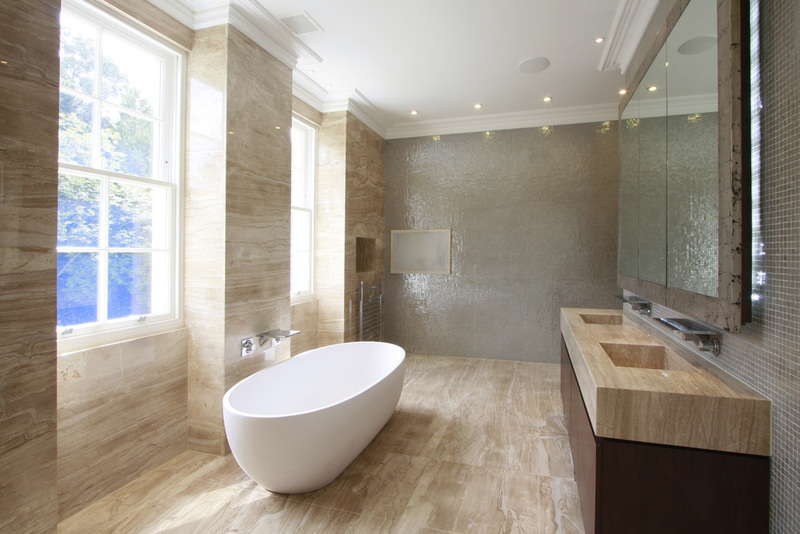 The bathrooms have been individually designed with either Vola or Axor chrome fittings and either Duravit or Flaminia sanitary ware with a Rain Dance Shower head to the Master Bathroom and Bedroom Two Ensuite Shower room. 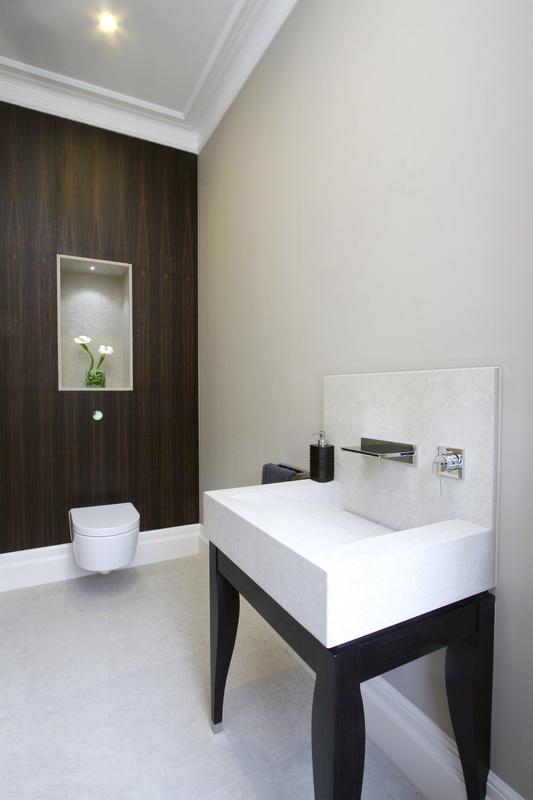 The four principle ensuite bathrooms/shower rooms all have plasmas recessed into the ceramic tiled walls. All the Bedrooms are carpeted except the walk in dressing room to the Master Suite which is ceramic tiled. The creative lighting system has been designed by specialists in this field ‘John Cullen’. They give careful consideration to different sources of light as well as an understanding of their direction and control. Their services are exceptional and have proven themselves within this fabulous home. The Gardens have been well designed with box hedges around the perimeter and mature trees offering seclusion. The Indian Sand Stone terrace spans across the rear width of the house and side passages leading to the front. The property benefits from outside lighting around the entire perimeter with lighting within the beds. The well manicured lawn is watered by the fully irrigated system with pop up sprinklers which also serve the beds. Guide Price: Price on Application Subject to Contract to include quality fitted carpets and kitchen appliances. No warranty is given concerning this property, its fittings, equipment or appliances as they have not been tested by the Vendors Sole Agents. Measurements are approximate and no responsibility is taken for any error, or mis-statement in these particulars which do not constitute an offer or contract. No representation or warranty whatever is made or given either during negotiations, in particular or elsewhere. No part of this publication may be reproduced in any form without prior written permission of Coombe Residential Ltd. All rights reserved.